Greg Mondshein and Rebecca Honeyman partnered to launch the New York-based shop this week. L-R: SourceCode cofounders Honeyman and Mondshein. NEW YORK: Two executives in Hotwire PR’s New York office have departed the firm to set up their own technology-focused shop. 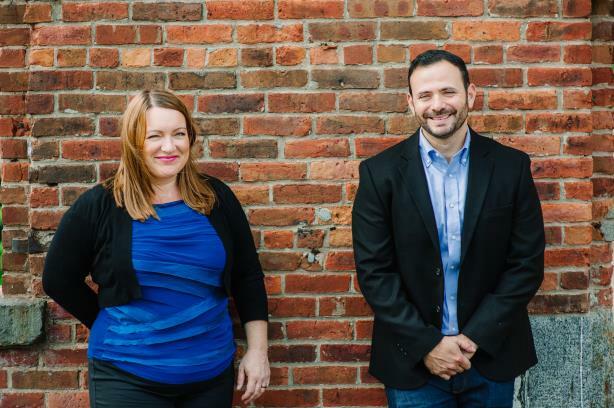 Rebecca Honeyman, SVP and GM, and SVP Greg Mondshein have left Hotwire to launch SourceCode Communications, a shop that will "cater to high-growth technology businesses," it said in a statement. Cofounders Mondshein and Honeyman, who are serving as managing partners, are the agency’s only full-time staffers, working alongside three part-time freelancers from two workshare offices in New York. "For us, it was all about the right partnership, and I think [Honeyman] and I are a good yin and yang in terms of providing good client service with a focus on data and insights and also being commercially smart in how you manage accounts," Mondshein said. The firm’s launch clients include dating app Hinge, digital media company Electric Jukebox, and Mitsubishi Chemical America. The agency aims to return humanity and quality storytelling to technology comms, which is often too dependant on platforms, Honeyman said. "There’s a huge tendency in the space to rely on automation and technology to do a lot of the work for you," she said. "We want to bring back the human empathy in storytelling so we create campaigns that really engage and not just deliver on KPIs but deliver a reaction for the client, as well." The firm promoted Christa Conte to SVP, leading its New York team, said Hotwire North American president Heather Kernahan, via email. "We wish Becky and Greg all the best," she added. Before moving to New York, Honeyman led the telecomms team at Hotwire U.K. for four years, according to her LinkedIn profile. Prior to joining Hotwire in 2016, Mondshein held several roles at Max Borges Agency in Miami. Hotwire said last month that it plans to open three pop-up offices this year in Minneapolis, Boston, and Mexico City. Headquartered in London, the firm has U.S. locations in San Francisco and New York. Hotwire achieved revenue of $31.7 million in 2016. This story was updated on September 7 with quotes from Kernahan.